These silver stanchions with red belt are part of the Tensabarrier series and they each feature a stable weighted base. 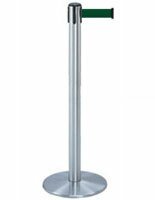 The floor standing posts are a great choice for any venue because they can create a useful crowd control system. 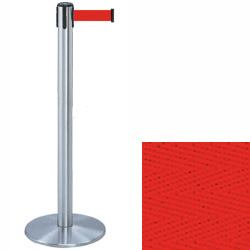 The silver stanchions feature an attractive chrome finish and the included retractable belt features bright coloration. This strap measure 7.5' long and 2" wide.